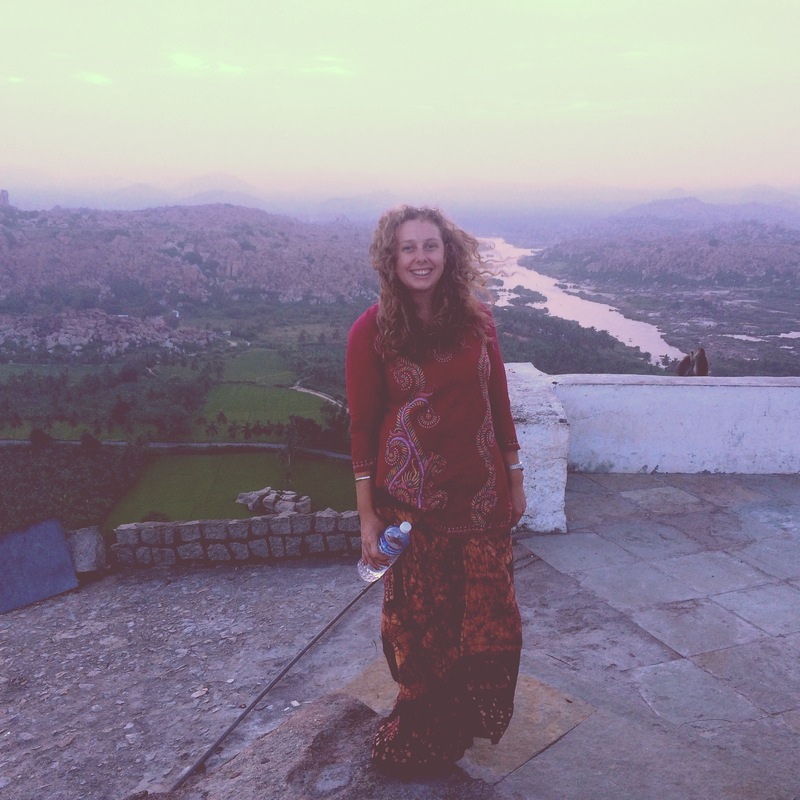 Today is my last day in India. Cannot believe it’s been 3 weeks already. I don’t feel sad though, I know I’ll be back. It’s been another wonderful trip once again showing me why my heart fills so full in this country of rich culture and beautiful people. 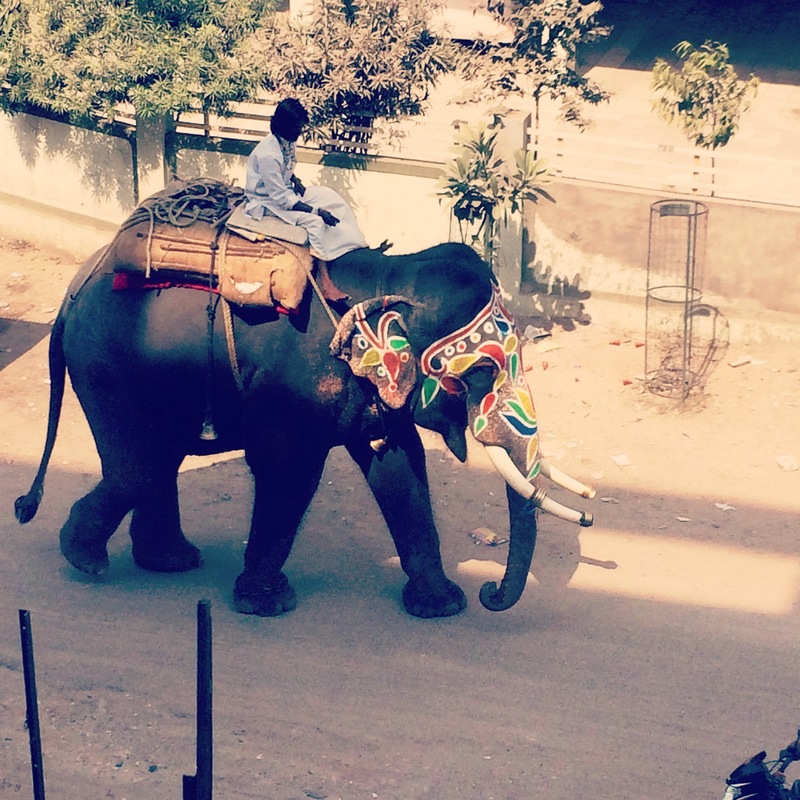 Truly, this is Incredible India. 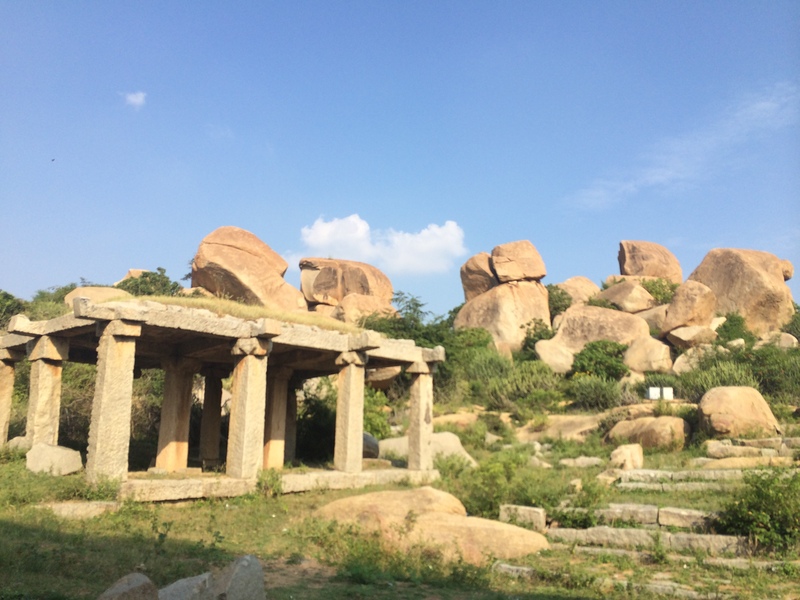 Temples and rocks in Hampi, Karnataka, India. 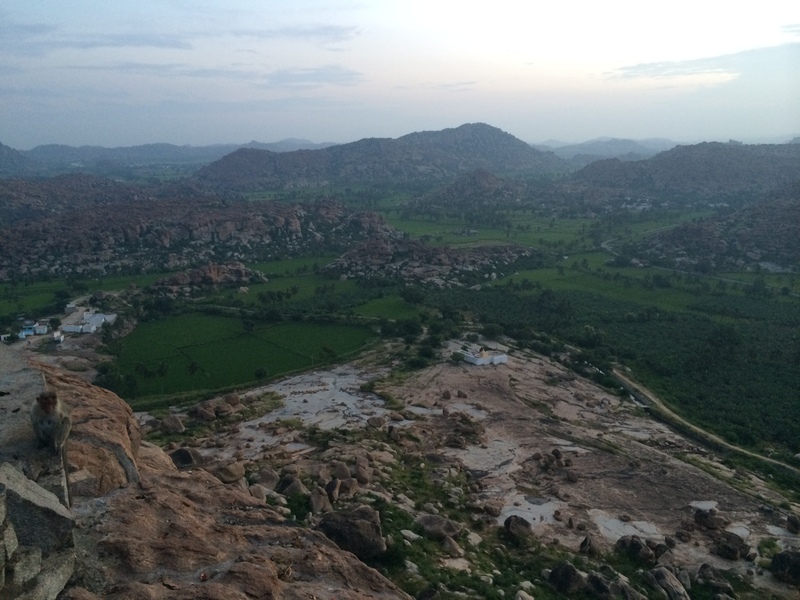 Sunrise on top of the World at Hunaman Temple. Making incredible new friends who show you their beautiful country and share magic moments. 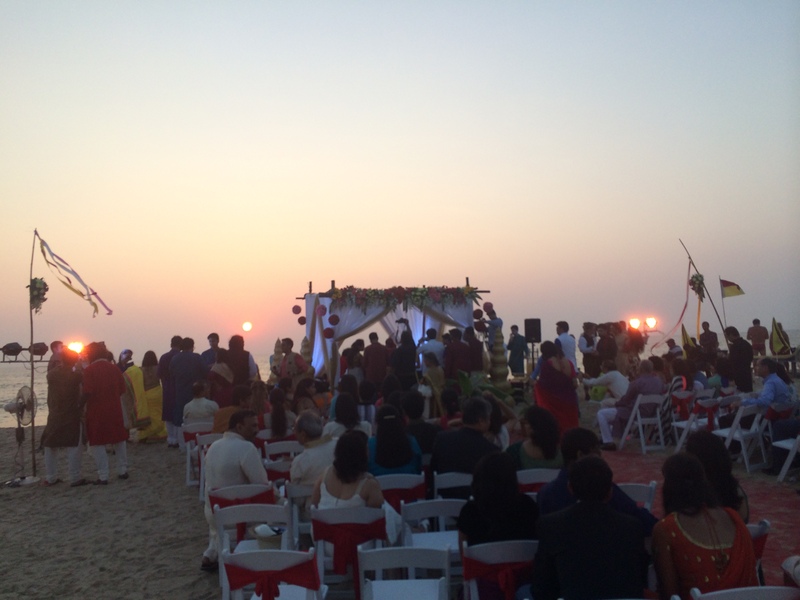 A wedding in Goa at sunset on the beach of my beautiful friends – a moment to treasure. 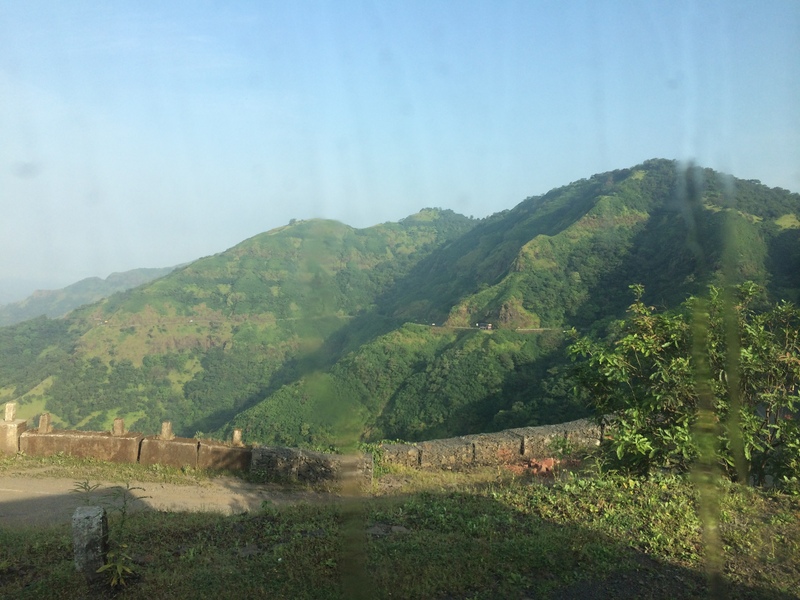 Overnight bus rides on winding roads to wake up in the Mountains between Mumbai and Goa. 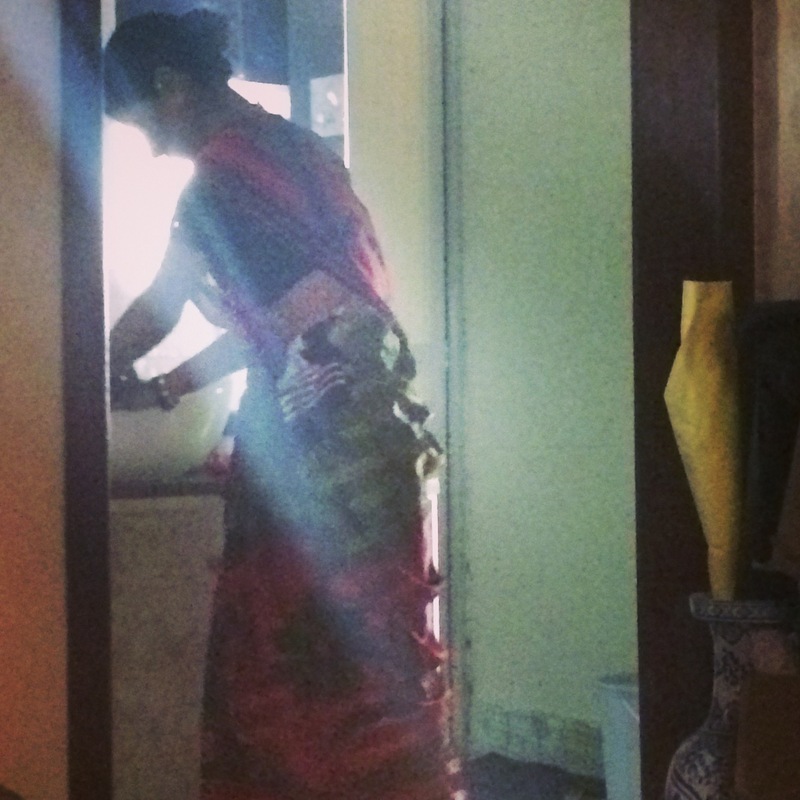 A maid dresses in finery to keep the dusty house in Mumbai clean. 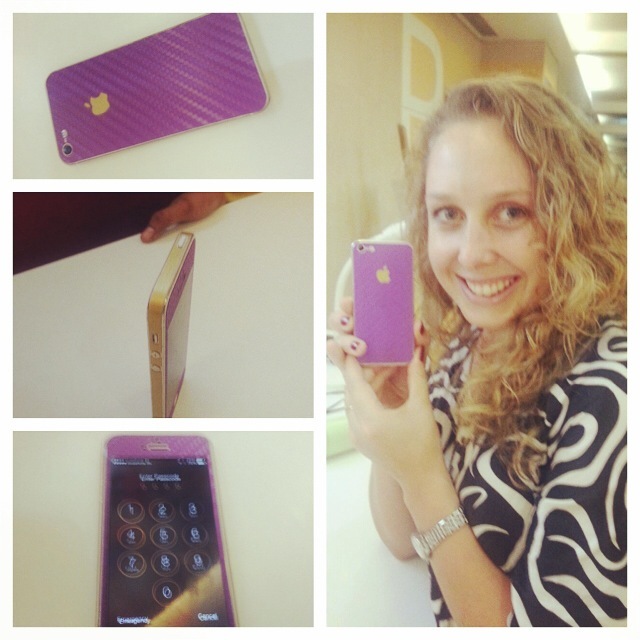 A friends company prospers in IT as I update my iPhone with a fun new look and freshen my hairstyle. 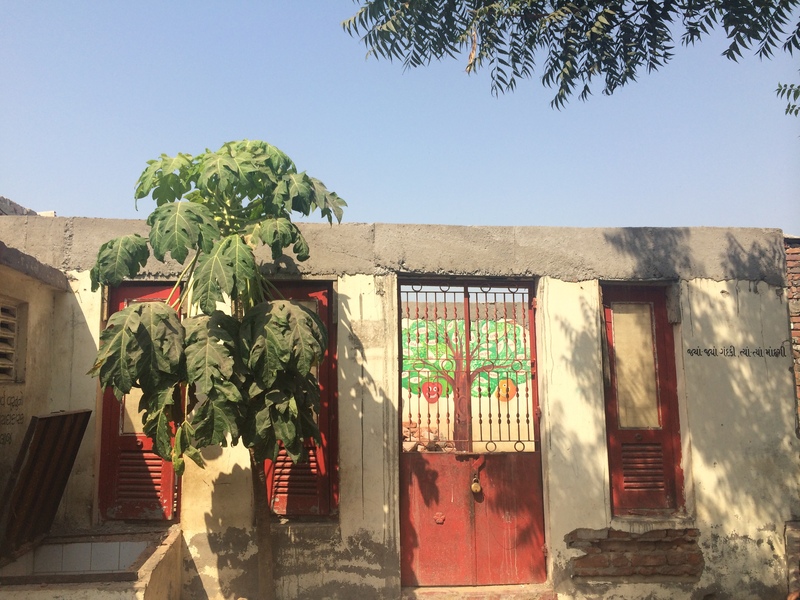 A joy to visit the Anganwadi Project in Ahmedabad and see the amazing transformations that education can give a community in this area. Lovely to meet Australians here helping these local communities and to celebrate with them the Diwali festival. 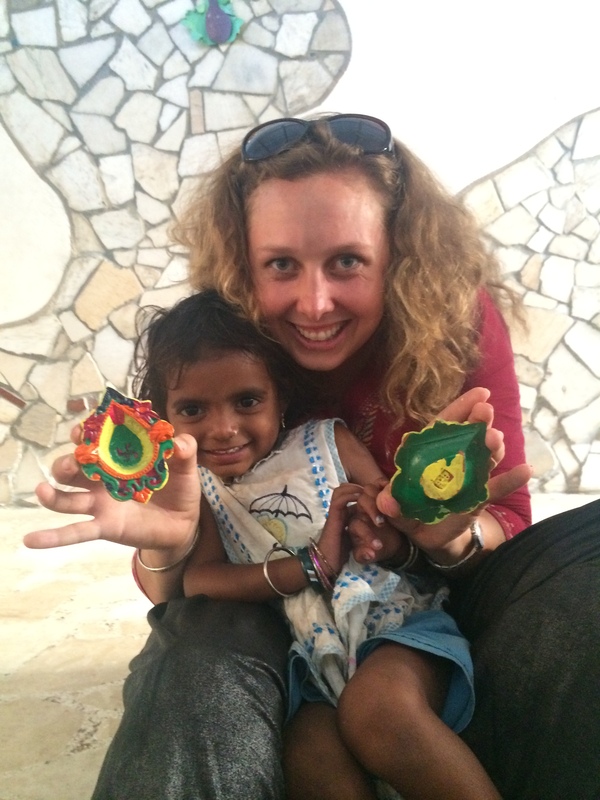 Arts and crafts with this little sweetie was a blast. 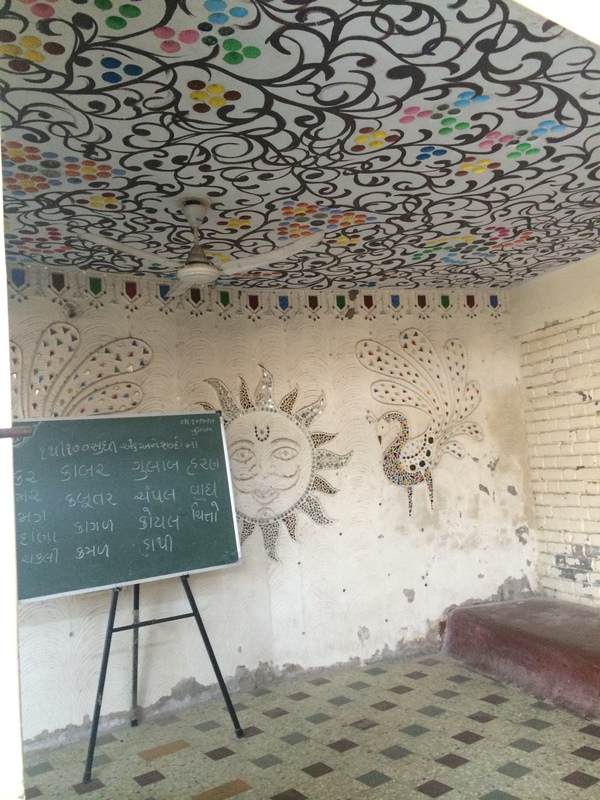 From Classrooms and colourful decorations, to the local elephant walking through the streets this was the experience of Ahmedaband, Gujurat, India. A great surprise stop on my travels. 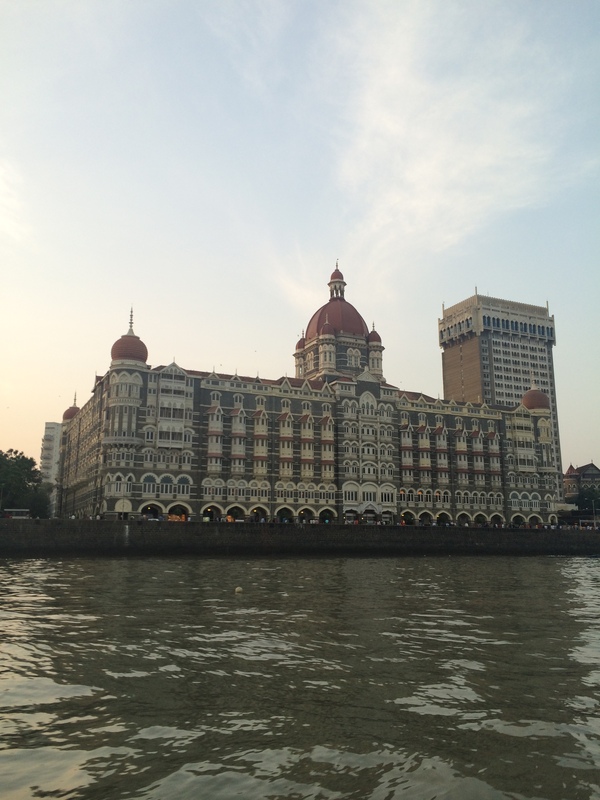 To the majesty of Mumbai and the regal history of the Taj Mahal Palace Hotel. 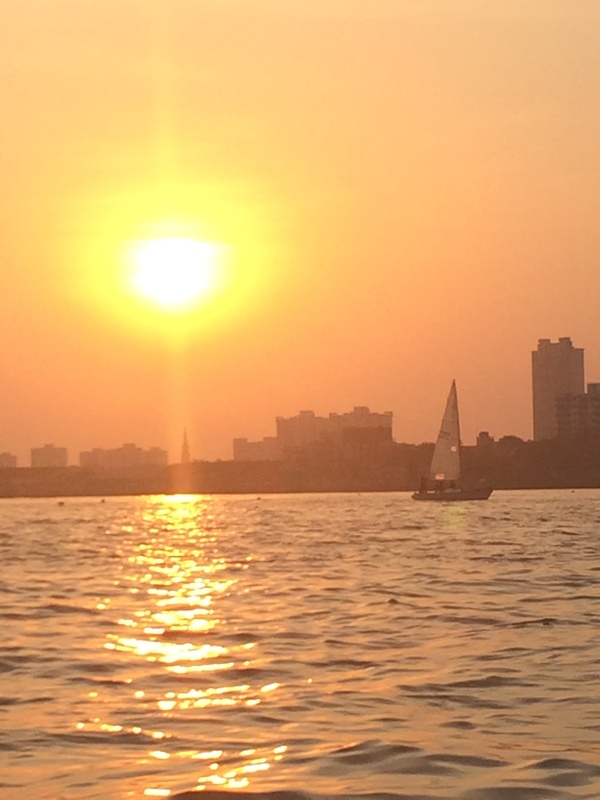 Sunset spectacles. 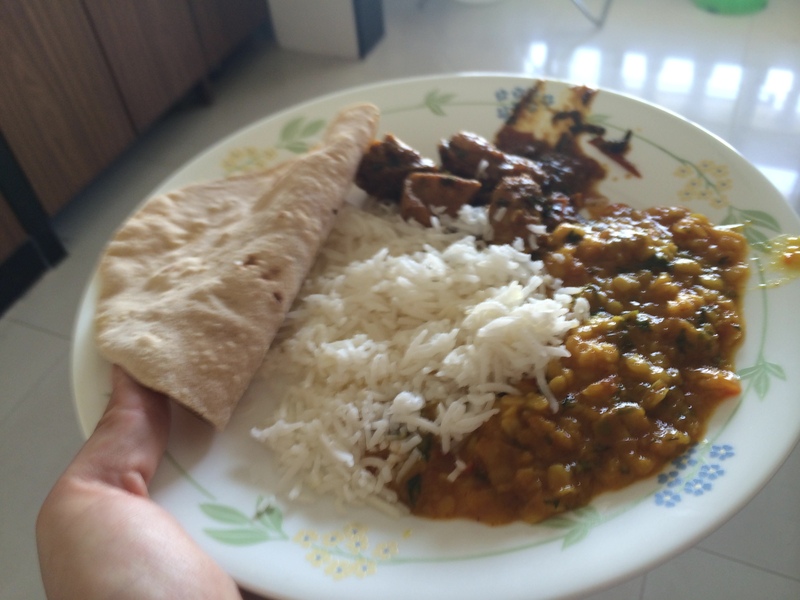 Finally, simple, delicious and authentic Indian cuisine in the comfort of a friends home in Mumbai. Welcome! NAMASTE! This is my India. 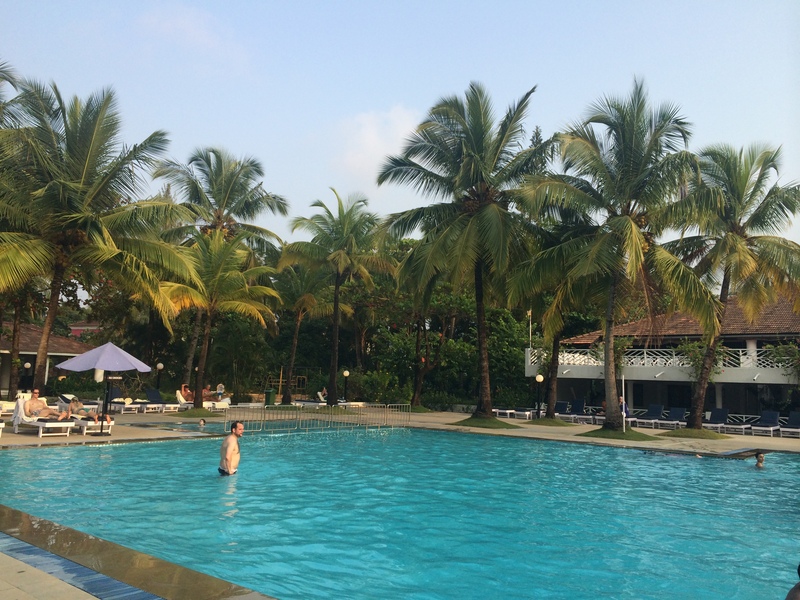 The Ebola Hype – Let’s get the facts and see how we can help! 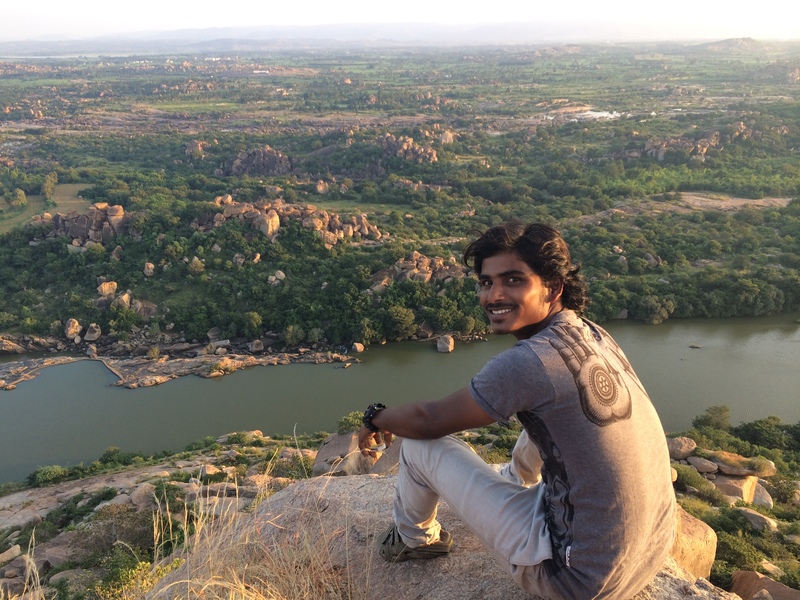 Today we went to Hanuman temple in Hampi. We went to watch the sunrise. It was incredible! The fresh morning and this sacred place. 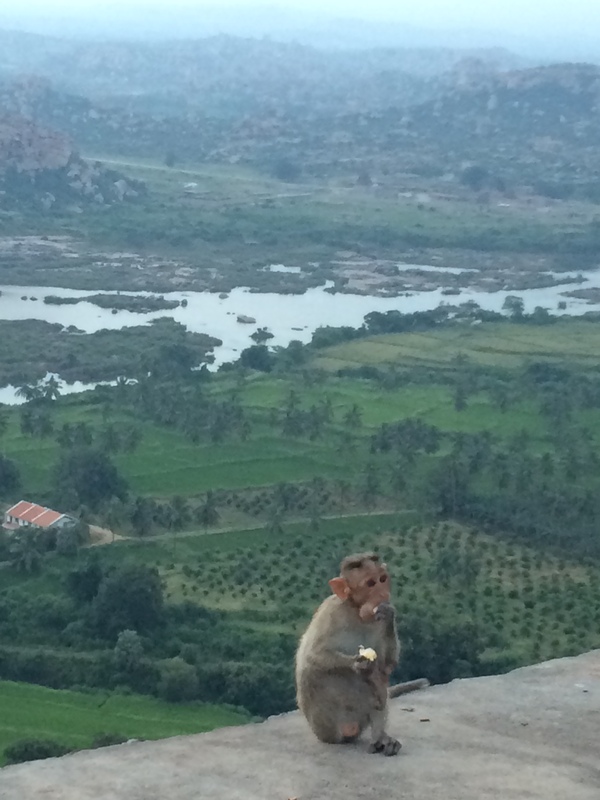 And also Hanuman is the monkey god so it was wonderful to see monkeys everywhere! Hanuman is my favourite of all the hindu gods. 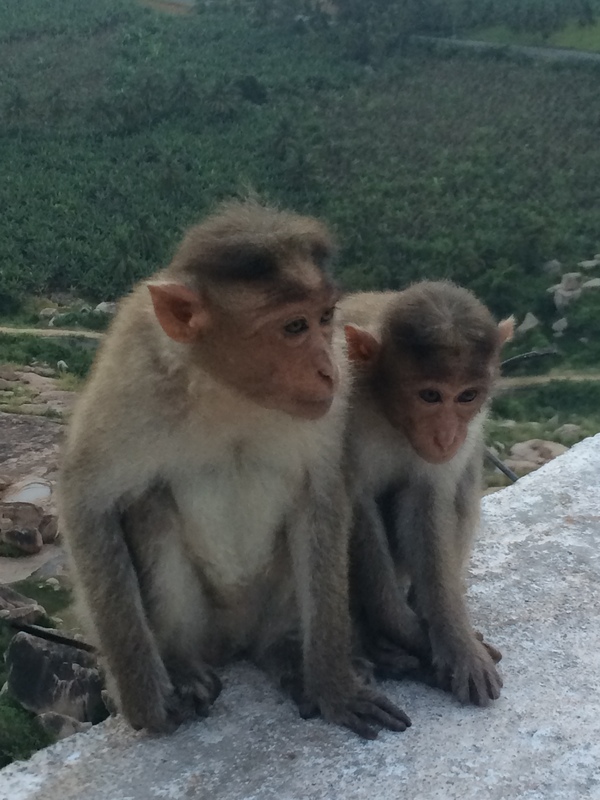 We were sitting out looking at this incredible view when a monkey came and sat behind me. I asks my friend Maruti what it was doing, just sitting. Then another monkey came along. A bigger one. He was about a metre back. Ok. Just chilling with the monkeys. No biggy. Well then the monkey behind me went over to see big monkey and he JUMPED HER!!! I was like “NO!!! !” The poor little thing…. After the … activity… she came back over and sat behind me and huddled into my back. “I’m sorry my little one. I can’t save you!!! Just tell him NO means NO!” She started to play with the back of my skirt. I just wanted to comfort her poor dear after her ordeal. But there’s NO WAY I’m getting in the way of an alpha male monkey at a monkey temple. 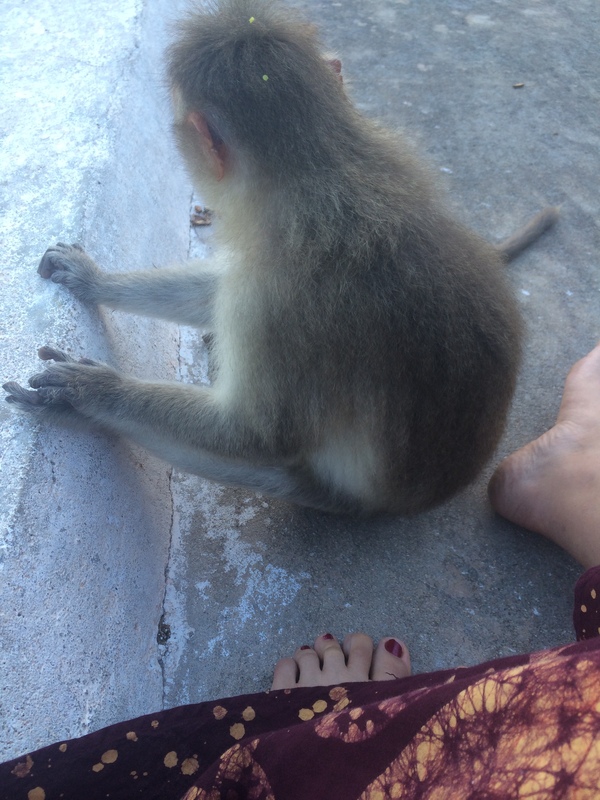 Then another big monkey jumped next to me and I screamed! That was enough funky monkey action for my morning! 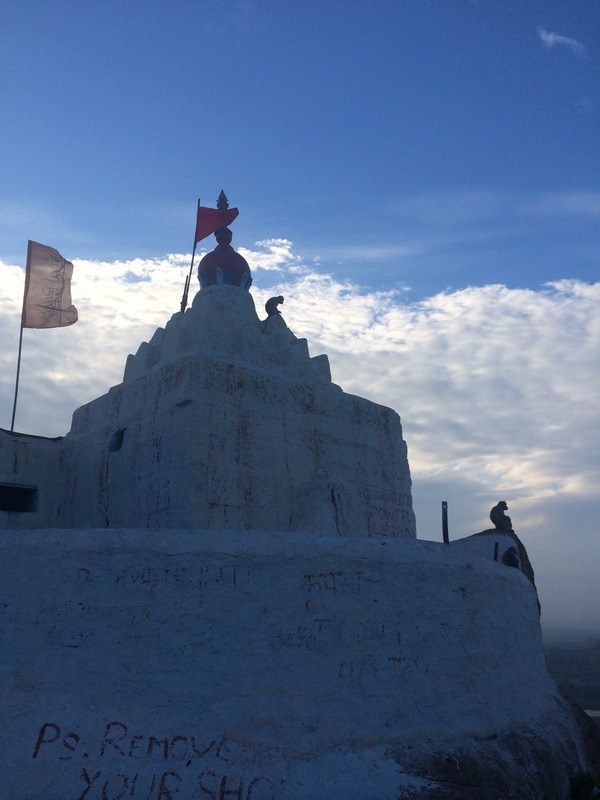 As we were leaving, I saw another couple of monkeys doing the monkey business on top of the temple stupor! WHAT IS THIS!!! Moral of the story. 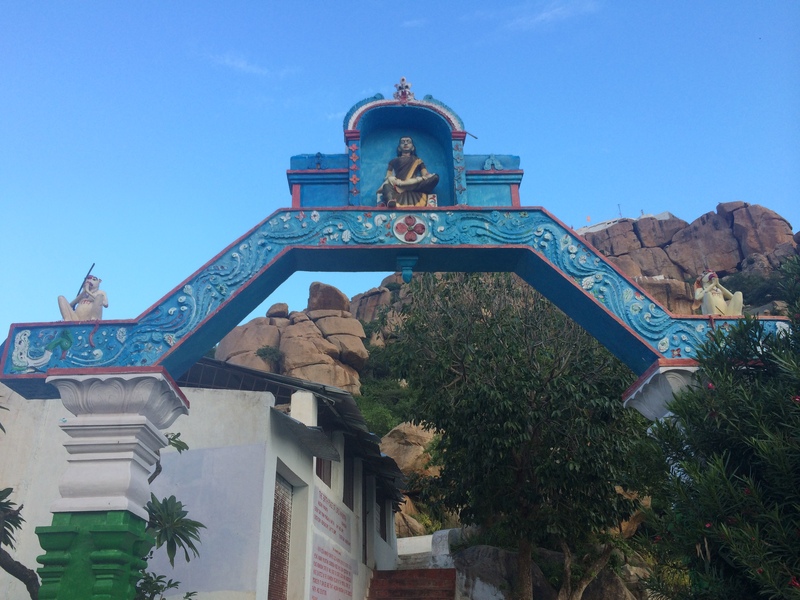 Monkeys have no shame and no respect for their monkey god Hanuman and his temple birth place.